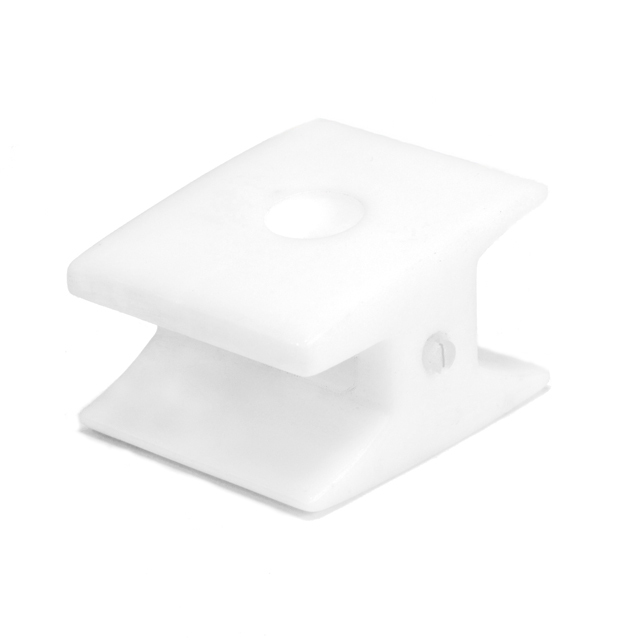 The MagStay™ MS-01 aids the connection of your MagSafe 2 from unintentional disconnections or pop offs on your Macbook PRO. Magsafe 2 works wonderfully disconnecting under most circumstances, as it is supposed to. However, while your using MacBook PRO as a laptop, undesired disconnections occur. MagStay will keep your MagSafe connected without false positive disconnections while in your lap. With the laptop screen open the MagStay is captured over the MagSafe 2 power connection as well as being slid over and under the laptop frame creating a secure locking connection. MagStay can be removed, rotated and reattached to the MagSafe 2 for use with a closed screen. In both positions, there is view port access to the power light and a lock screw to keep the MagStay securely attached to the MagSafe 2 during use and storage. NY Times David Pogue "It’s the most useful piece of plastic I’ve added to my arsenal in a long time..."
The Gadgeteer "There’s even a set screw to tighten it on the laptop." 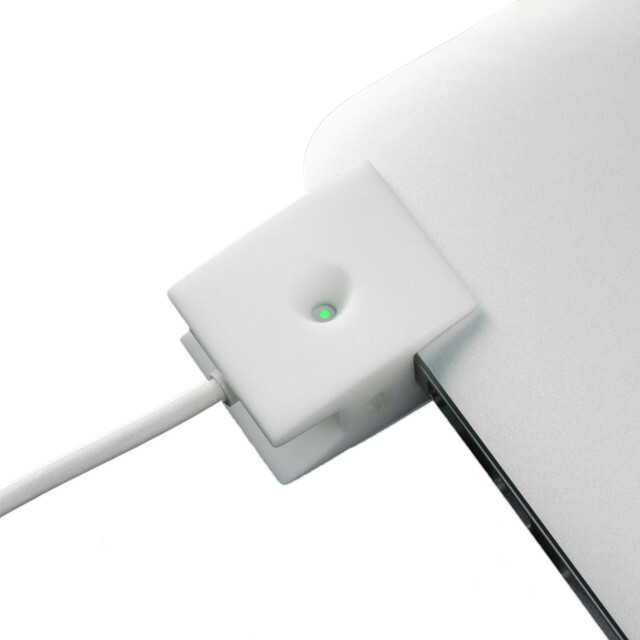 iLounge "When Steve Jobs introduced the MagSafe power adapter back in 2006, he said it was made to prevent your notebook from flying across the room if someone tripped over the cord. That was a great idea, but ..."